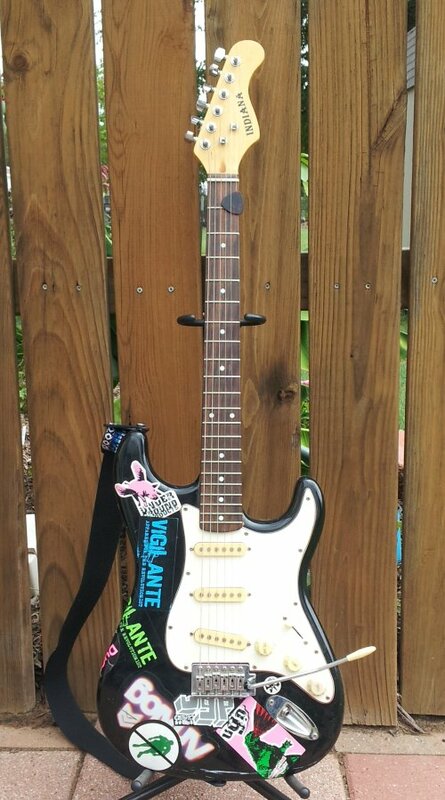 If this is going to be the surf/psychedelic guitar, let’s buy a couple of lipstick-tube pickups and replace those two bland single-coils. So that’s what I did. (And I managed not to wreck the guitar while changing them out.) They sound pretty good, although I’m not yet sure if they have anything really “unique” to offer. We shall see…. 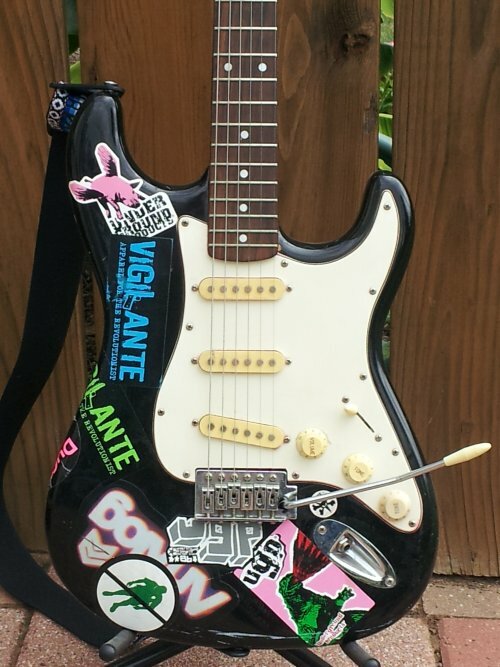 And, yes, the stickers were all on the guitar when I bought it. From the pictures (I bought it online) I thought I might have to refinish it, because they looked pretty bad. But they looked a lot better when I actually saw the guitar in person, and they’ve since kind of grown on me. So they’re there to stay. 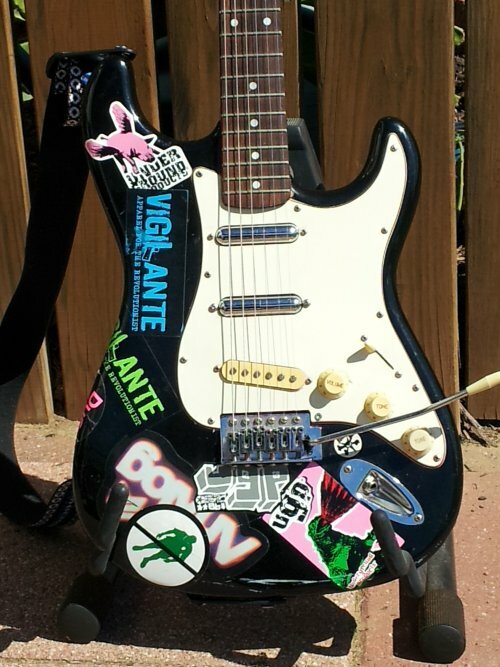 Just a little more personality on the guitar whose personality continues to evolve.